None of this is to say that you shouldn’t have goals, but rather saying to be happy where you are and what you’re doing now. Let wherever you are now be your “there,”because it's the only place you are. Otherwise life will just feel like one moving goalpost after another. Perhaps the greatest benefit of all the work we do in practice is that we can use it to serve others – both as teachers and as students, it’s important to realize that the reverberations of what we do on our mat and on our cushion extend far beyond just taking care of ourselves. One of the things that we work on in our contemplative practices is being grounded – in our realities, our lives, our senses of self, our values. With practice, we are able to bring that grounding into our day-to-day lives so that we can be sources of support for others who might need it. When things are stressful, or uncertain, or just everyday difficult, we have the opportunity to stay grounded and use the experience of our practice to help us support other people. When we’re able to see how we can be of service, we can take more satisfaction in the practice because we know it’s not just for ourselves, but for our communities and our friends and our loved ones and our fellow humans. The more you serve others, the happier you will be. What are the chances that we would be born with a human life? That we would find these practices and truly resonate with them? That we would find teachers? That we would find a community (whether online or in person)? That I would be writing this blog? That you would be reading it? The odds are not very high — so many different scenarios could’ve played out in this great big universe, but this is the one you were given. This human life is sacred, and every moment is valuable, BUT you have to be awake for those moments. Scrolling through social media, staring blankly at a computer screen, texting during a real life human interaction, and otherwise not being truly present in your own life can diminish your experience of the world you’re living in – the world we all share. Realize that you have an impact, that in this karmic cycle your words and actions have an impact and that we all have a responsibility to use them accordingly. Shraddha is often translated as faith, but perhaps a more fitting translation would be that it means to trust the process. Here’s what I know: The spiritual path is a long journey. Doubts will come up along the way, and that's to be expected. But as practitioners, we have to cultivate a deep trust in the process. We have to keep digging and keep going. Don’t doubt the process of asking questions – it’s good to have questions, and asking them is even better. It means you’re thinking critically and independently. It means you’re awakening. More questions should arise as you begin to peel away the layers, so find a teacher, community, or friend that helps you feel excited about asking them! it can be all too easy to find the faults of others. Whether its putting the blame on someone, criticizing others, making assumptions without information.What’s much more useful, though, is to go deeply inside of ourselves and realize the internal causes of some of life’s pain. The mind creates a lot of stories and self-talk. When we notice something arising, our instinct is to avoid it out of fear and discomfort. Just like the fear and discomfort we face every day on our mats, the fear in our minds can seem so easy to deal with once we feel we’re just past it. 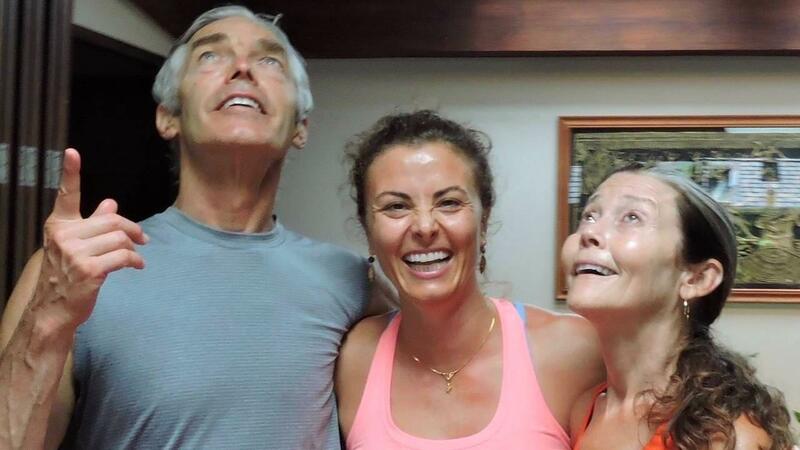 We experience this all the time with asanas because the physical is a more visible level that we can see things on. Think of kapotasana, for example (or whatever your own “scary” pose is). Students pop out of the asana abruptly flushed and activated. It happens with sits too. The mind plays tricks on us — it will do whatever it can to keep you from going to the scary stuff. The mind will do its best to divert you with stories and lead you away. When you see this happening, resist the urge to leave. Instead stay with it. Observe what is coming up. Try reframing how you see it. This is your opportunity to learn more about yourself and human existence in the process of burning through samsara. One of the things I realized in my silence was that I have spent a lot of time filling the voids, whether with mindless chatter instead of meaningful conversation with friends, keeping myself distracted with my phone, over-scheduling rather than sitting alone with my feelings — maybe you’ve been there? This is something that I have been working on for a while with my meditation teacher. I basically spent my last year in DC so busy — busy because I wanted to be, not because I had to be — that I left no space for anything good to happen to me. What I learned in silence, in stillness, is that when I stopped filling the voids with meaningless activity and started to accept them, enjoy them, even deliberately create them, they started to fill naturally with real beautiful things, people, and activities that I never would have experienced otherwise. We live in the age of fear of missing out, and this fear leads us to habitually over-schedule, say yes when we want to say no, scroll through social media instead of living our lives, and all other manner of distraction. This FOMO typically tends to have the opposite of its intended effect, causing us to miss out on what’s going on inside of us and distracting us from the magnificence of our life experiences. Learn to appreciate the pauses. When things slow down, take the chance to sit with the residue. This is when we get the opportunity to begin to intuit more deeply, to move forward and get a sense of something deeper — this is when meditation begins. Sit up tall. At the Shambhala Center in Boulder they are fond of saying “sit down, sit up.” Ground your pelvis and lengthen your spine. Find a comfortable seat. Honestly, just sitting still can be hard enough for many of us — but it is definitely a little easier if you are reasonably comfortable. Use props to help you get more comfortable. Fall in love with your breath. Our breath is our most habituated pattern. We’ve been doing it our whole lives, and most of the time we don’t even realize it. So, for now, pay attention to your breath. Every time your mind wanders, return it to the breath. You might find your mind wandering constantly. That’s ok - the important thing is that you noticed. Find time. I suggest piggybacking your meditation practice onto your asana practice. I typically meditate before my asana practice because I know I’m usually tired and hungry after. But do what works for you! Another suggestion? Hit snooze! When your alarm goes off in the morning, hit snooze, sit up, and do your sit right then. When the alarm goes off the second time, you’re done — and you’ve already had 7 minutes of awareness before you even got out of bed. In my experience, it’s a great way to start the day. 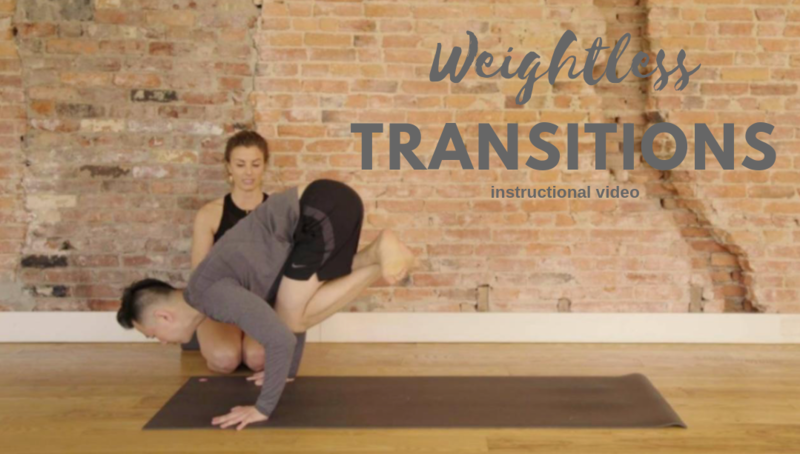 Weightless Transitions Online Course is now available. Save $10 now with coupon code FLOATING. Teacher Development Program - starts in January. Three spots left! Primary Series Online Interactive Course coming early 2019. Get on the waitlist. Mentor with me. Learn more here.